Cumulative Title Index to United States Public Documents, 1789-1976 by Ed. Lester, Daniel W., et al. Often abbreviated as CTI, this item is an alphabetical title listing of almost every document published from 1789-1976 by the U.S. government. Below are a few resources available at the Ready Reference Collection (2nd floor, behind the Reference Desk) at Young Library. Guide to U.S. Government Publications by Andriot & Andriot, eds. Used to locate information about any U.S. national or gubernatorial election. UK Libraries' InfoKat Discovery is the best source for the location, SuDoc/call number and format (paper, microfiche, electronic, online) of U.S. government publications held at UK Libraries. These are some of the most important resources available for U.S. government publications and cover multiple types of documents as well as a variety of subjects. 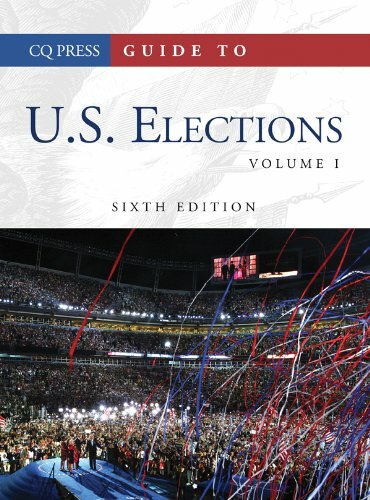 A catalog of publications from the Legislative, Executive, and Judicial branches of the U.S. government. Codification of the general and permanent rules published in the Federal Register by the executive departments and agencies of the Federal Government. Official website of the government agency responsible for publishing and disseminating official U.S. government publications to Congress, federal agencies, federal depository libraries, and the American public. Includes links to GPO Services and Products, the U.S. Government Bookstore, and information about the Federal Depository Library Program. Historical collections from the National Digital Library and archival collections from the Library of Congress. Provides a fun and educational introduction to how the U.S. Government works. Full-text of the document, with analysis and interpretation. Contains records for the approximately 20 million works and documents recorded with the Copyright Office since 1978. Current and historical U.S. Government publications. Includes essentially all governments in the world, some of them not officially recognized by the United States. Machine readable datasets generated by the Executive Branch of the Federal Government. Centralized resource for the Federal Depository Library Program (FDLP) and its librarians. The FDLP is responsible for disseminating federal government information to the American public through the nation’s depository libraries. Official statistical information available to the public from the Federal Government. Includes economic and population trends, education, health care costs, aviation safety, foreign trade, energy use, and farm production. Includes official statistics collected and published by more than 100 Federal agencies. Consolidates links to official federal, state, and local government information websites for the Unites States, Guam, American Samoa, Virgin Islands, and the Commonwealth of the Northern Mariana Islands. Subject and author indexing to c. 170 magazines and newsletters published by U.S. government agencies. Free U.S. Government information for all. govinfo is a service of the United States Government Publishing Office (GPO), which is a Federal agency in the legislative branch. Provides free public access to official publications from all three branches of the Federal Government. Access to the various catalogs of the library, the American Memory Project (subject-based access to historic maps, photos, documents, audio and video), exhibitions, Global Gateway (multilingual resources on world culture), and Congress.gov (legislative information, both current and historical). Covers all U.S. Presidents, with information about presidential libraries if one has been established. Use the Abstract as a statistical reference and as a guide to sources of more information both in print and on the Web. 2012 is the last edition, but StatAbs is useful as a source of historical statistics and as a guide to sources of current statistics. Site of the office of public record for copyright registration and deposit of copyright material. Includes information about copyright law and regulations. Provides summary information on the demographics, geography, communications, government, economy, and military of 271 U.S.-recognized countries, dependencies, and areas.